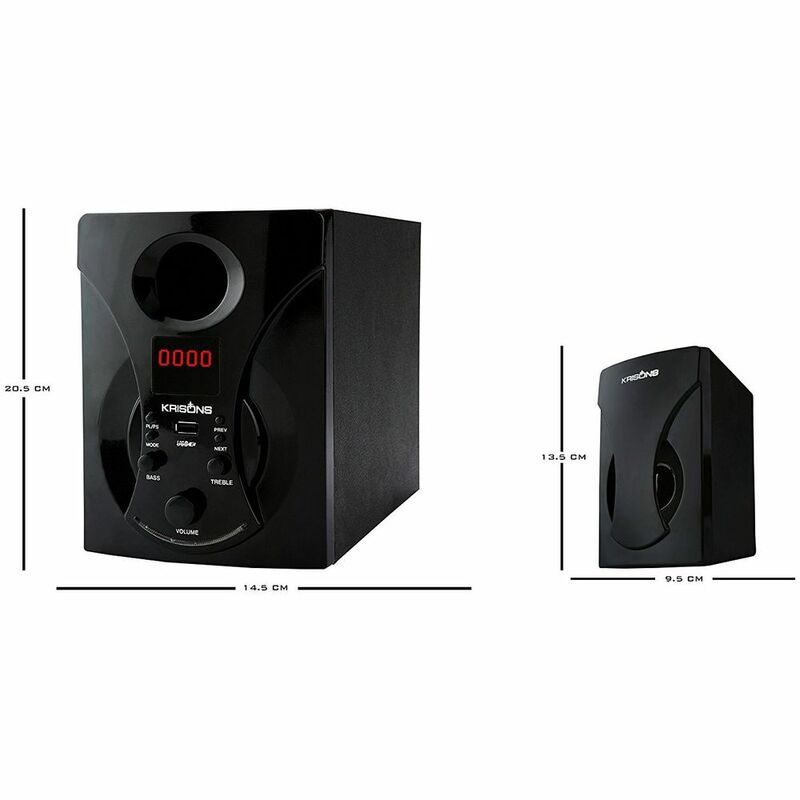 Additional Features 5.1 Speaker - A set of 5 satellite speakers and 1 sub woofer enables you to experience theatrical effect. 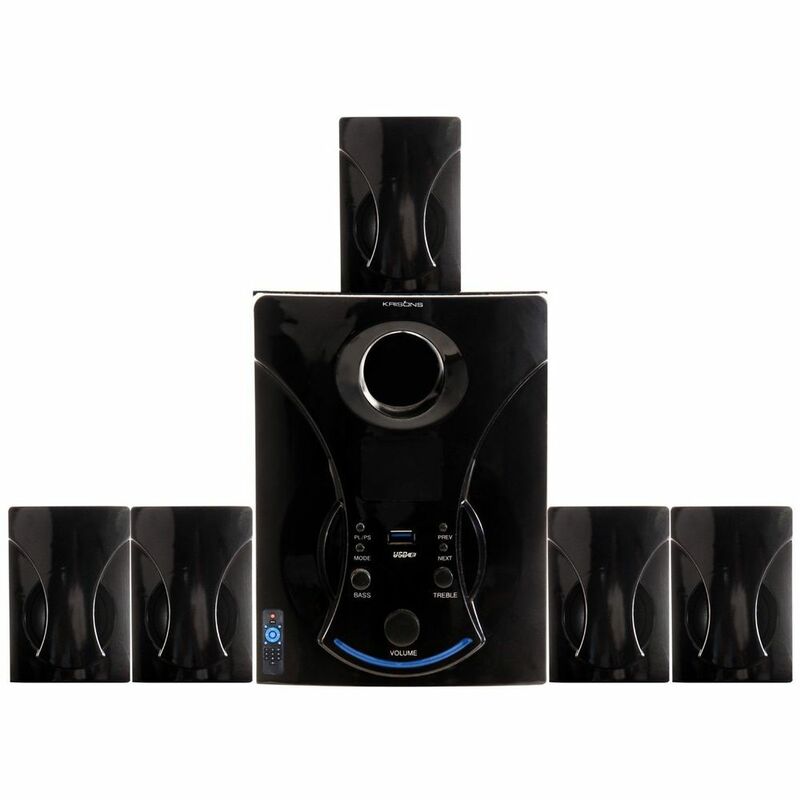 Connectivity - The speaker can be connected with any LED TV/ Mobile Phone/ Laptop/ Tablets/ PCs/ all Mp3 devices and gaming consoles. Bluetooth - The speakers can be connected to any Bluetooth device(2.0 Bluetooth) by just empower yourself to go wireless. FM Radio - The speaker has in-built FM with preset channels and also automatic/manual tuning for you to enjoy music. 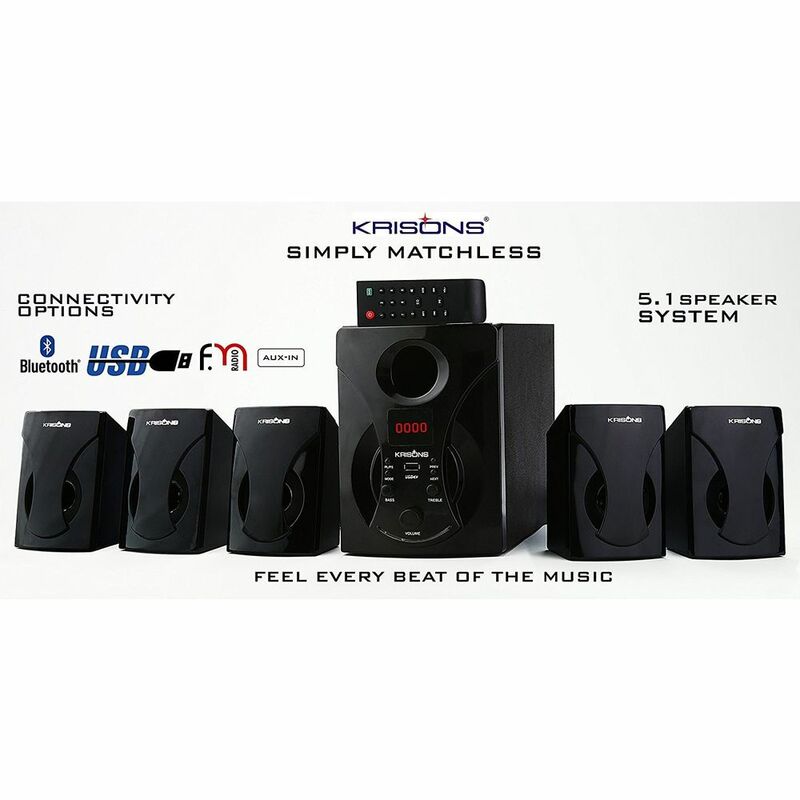 USB Compatible - The speaker has in-built USB socket for you to just plug-in and play your favorite playlist. AUX IN - The speakers has AUX IN socket to make it universally compatible with all devices through 3.5 mm Jack and also a free AUX cable is provided with the speakers. Volume / Bass Treble control - The speaker has in-built Volume/ Bass/ treble control to enable you to adjust your music according to your liking. 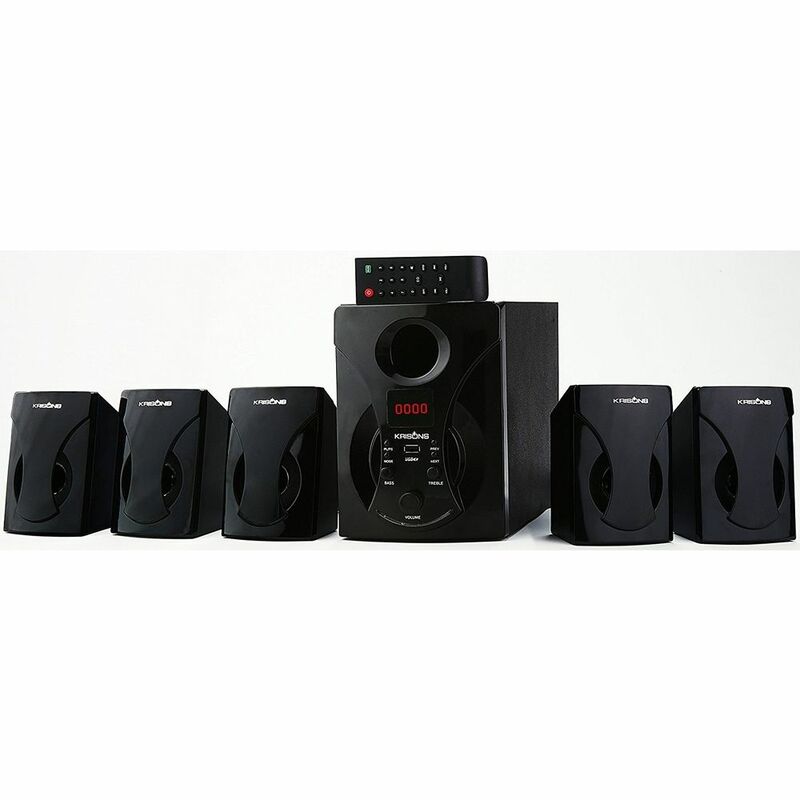 Digital display / Wireless remote control - The speaker has in-built digital display along with a wireless remote control.